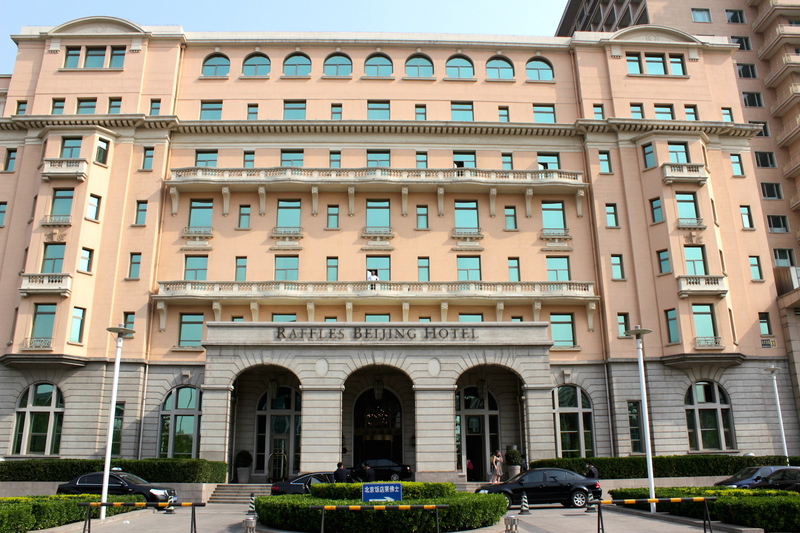 Facade of the 1917 wing of the Grand Hôtel de Pékin; today’s Raffles Beijing Hotel. 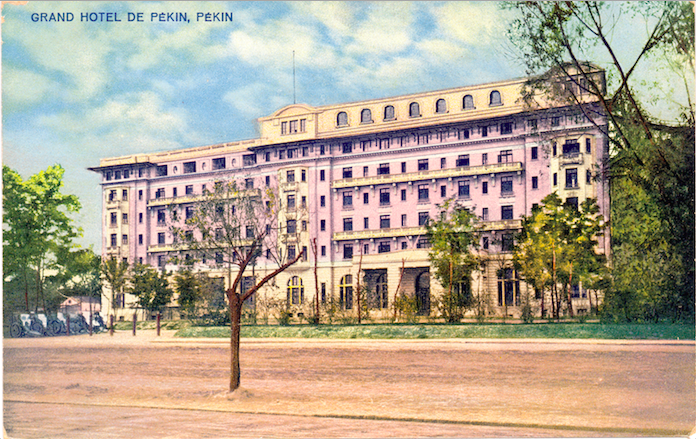 Le Grand Hôtel de Pékin was Peking’s oldest and most splendid hotel establishment, situated just north of the Foreign Legation Quarter and offering the Grand Tourist panoramic views of the Quarter and of the Forbidden City to the west of the hotel. The hotel in the 1920s. 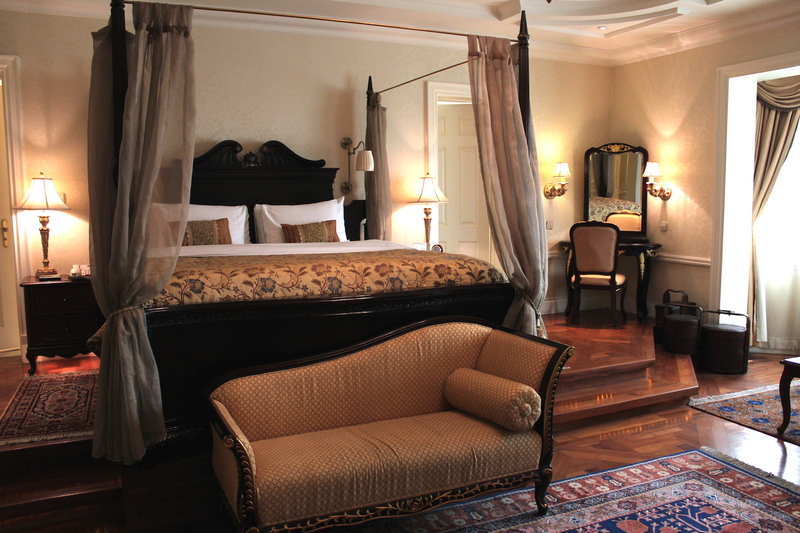 The hotel originally opened its doors in 1915 and by 1917, its rooms had become so muc in demand that it needed to build a new wing. 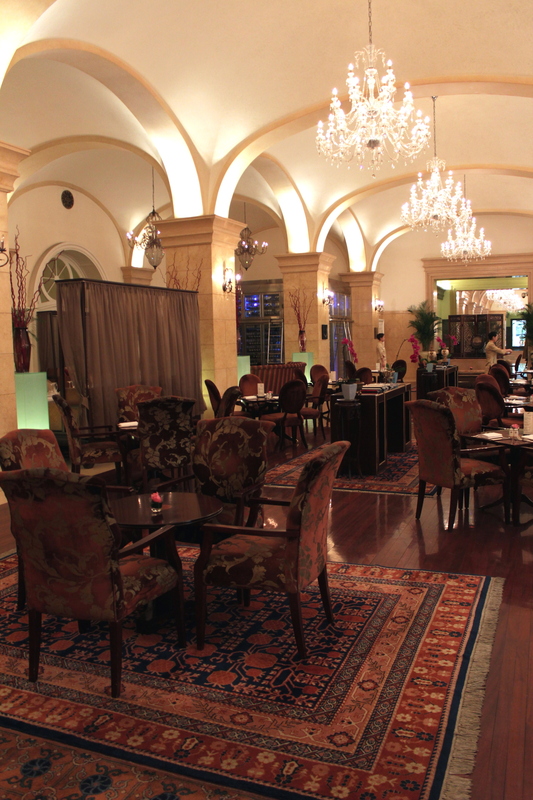 In its day, the hotel, being French-funded and run, was well-known for its excellent French wines and cuisine. It played host to range of celebrities including George Bernard Shaw. 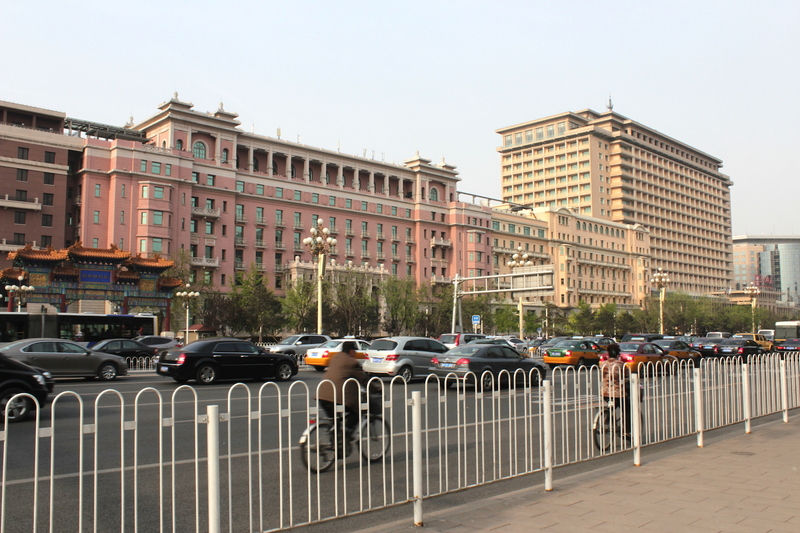 By 1937, when the Japanese over-ran the city, the Hotel had be given up to the occupying forces, and subsequently when the Japanese were vanquished, to the Nationalist Government. Being the most important hotel in the city and the centre of the social, political and diplomatic scene, the hotel soon found itself expanding again. A new wing – sporting a mix of Western and Eastern architectural features – was appended to the west of the hotel in 1954. And then in 1974, the original 1915 building was demolished and replaced with a thoroughly Communistic tower block. 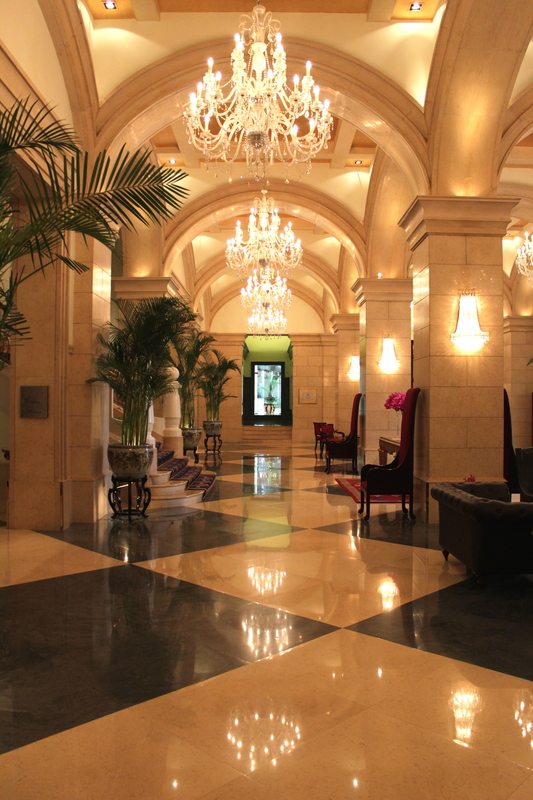 All three of the hotel’s wings still stand today, but are under different managements. 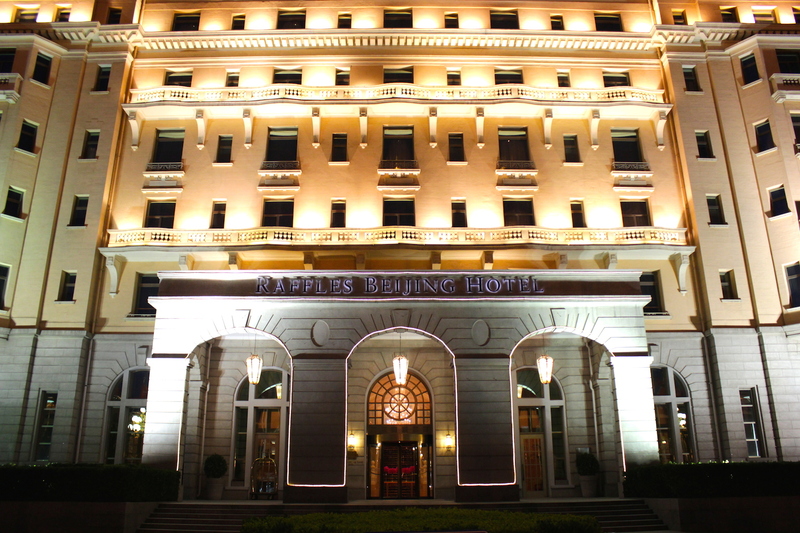 The original 1917 wing is managed by the Raffles Hotels and Resorts Group, and is known today as Raffles Beijing Hotel. 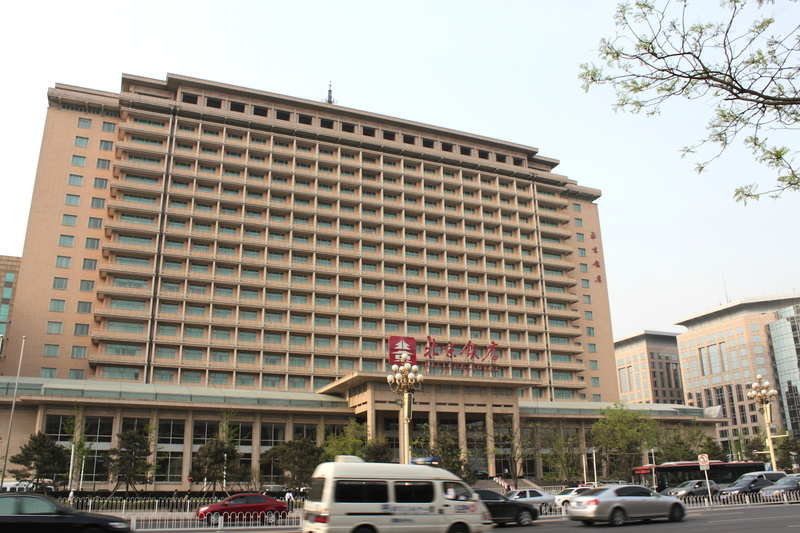 The 1954 wing is known as the Grand Hotel Beijing, while the 1974 wing is known as the Beijing Hotel (北京饭店). 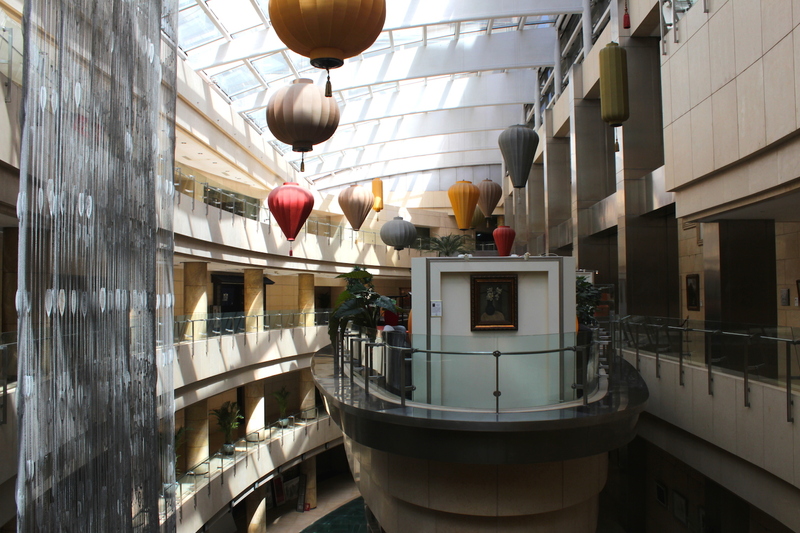 All three, however, are linked by the modern retail mall that sits just behind them. All three wings, with the original 1917 wing at centre. 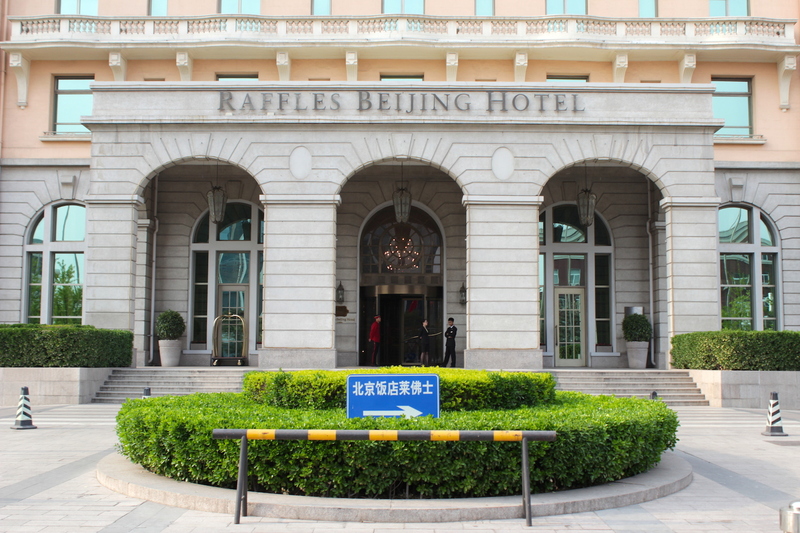 On this trip, I stayed at the Raffles Beijing Hotel – the original building; and I had the immense fortune to be put up in the luxurious George Bernard Shaw Suite, where the Hotel displays some memorabilia related to the playwright – including a note written on the Hotel’s letterhead. It was a splendid base from which to explore the Imperial city – and once that exploration was done, one could partake of excellent wines at the Writer’s Bar – reminiscent of the same at the Raffles Hotel in Singapore, and adding to that feeling of “home away from home” for me the entire time I was there. 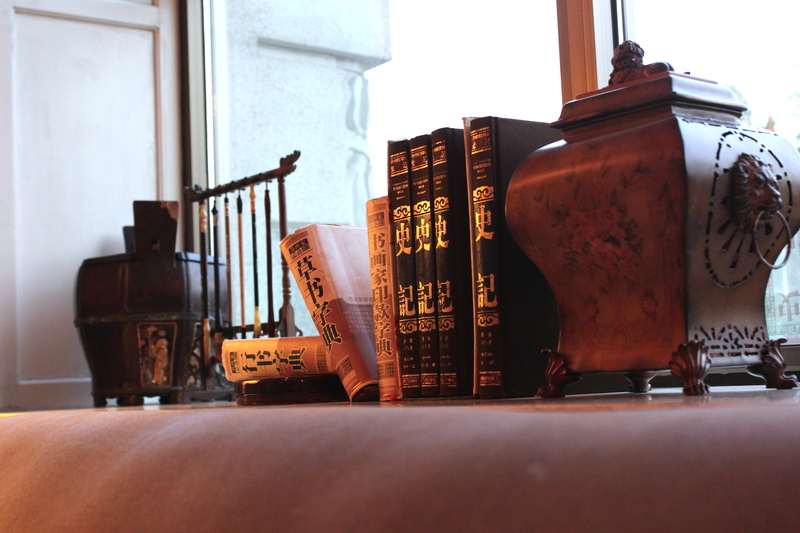 The gallery below provides a record of my stay. Zoom out of the lobby space. 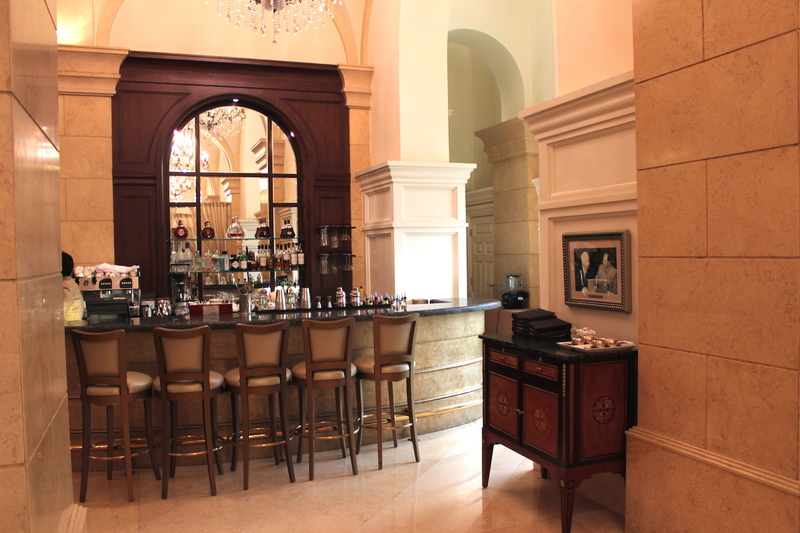 The Dining Room – where there is a very popular afternoon high tea. 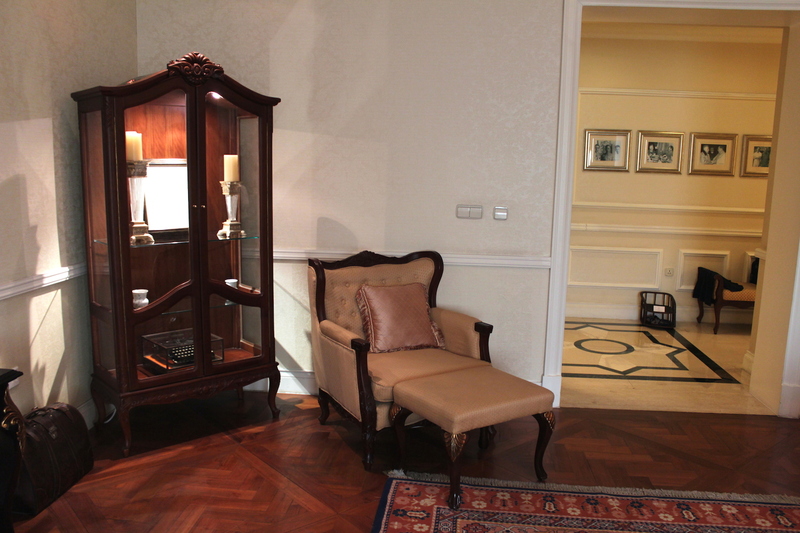 My room – the George Bernard Shaw Suite. 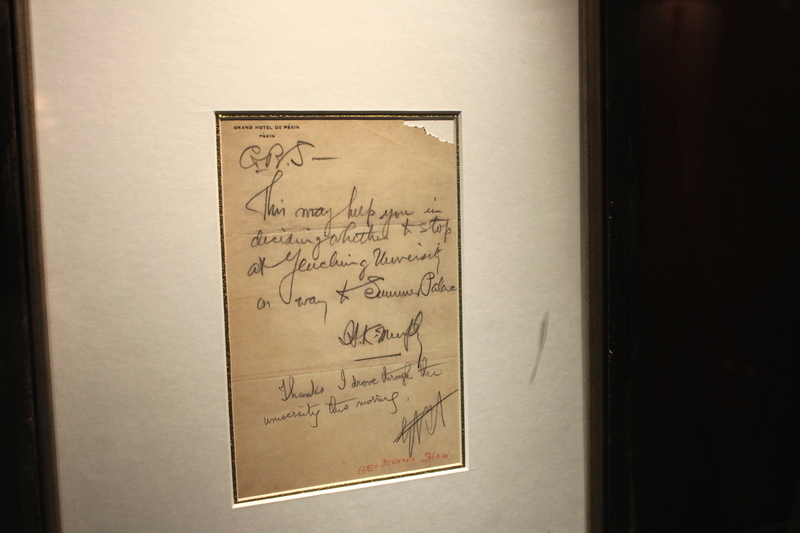 A note Shaw wrote on the Hotel’s Letterhead. 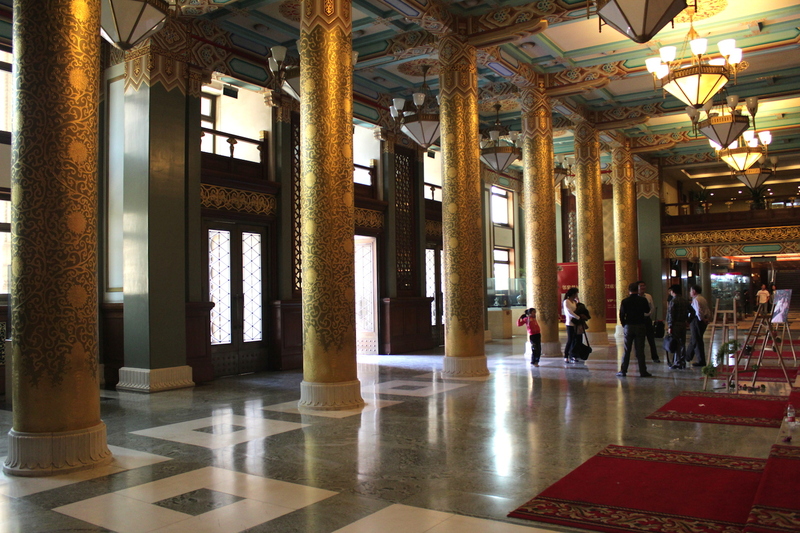 The over-the-top imperial-style lobby of the Grand Hotel Beijing (the 1954 wing). 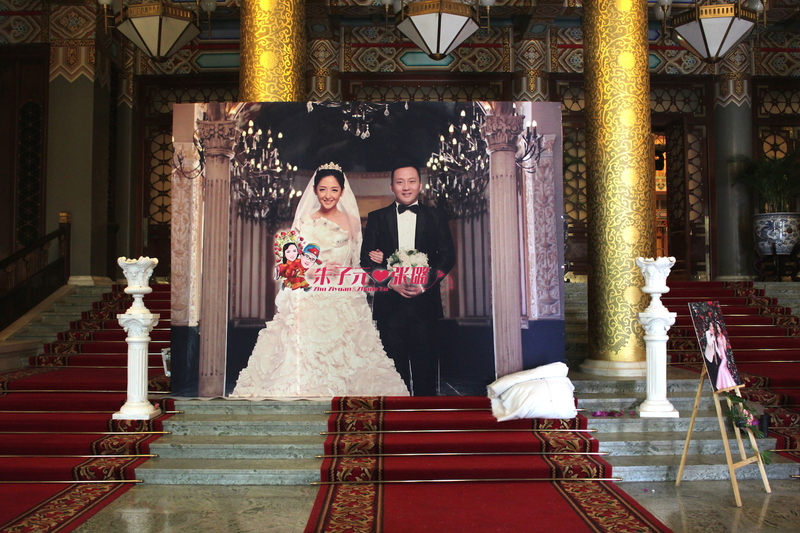 The over-the-top wedding banquet taking place within the hotel. The Mall behind all three hotels, probably also run by the Raffles because it reminded me of Singapore. 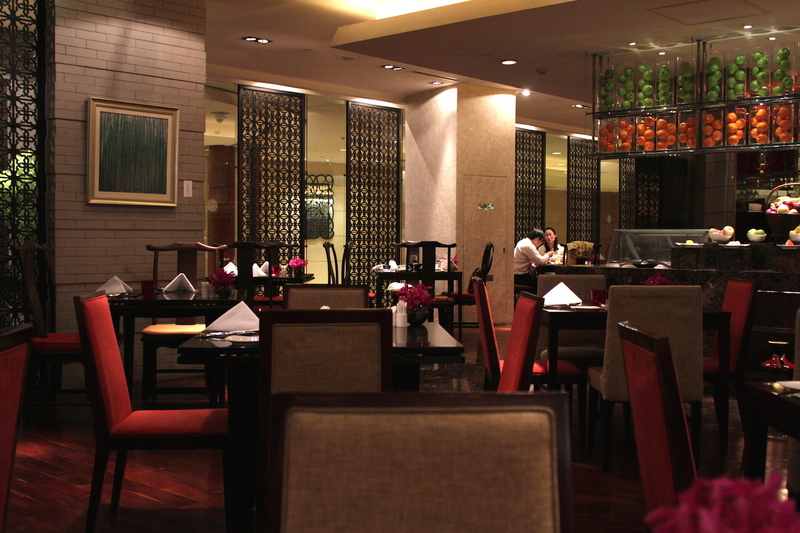 This was the hotel’s main restaurant for buffet breakfast and dinner. It was in the mall and reminded me of Straits Kitchen in Singapore. 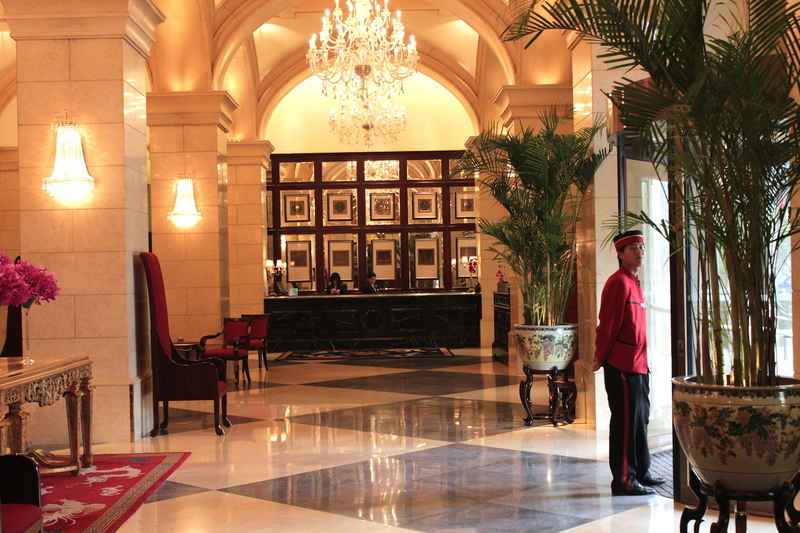 Back at the ante-lobby of the Raffles Beijing Hotel. A parting glance at the hotel at night. 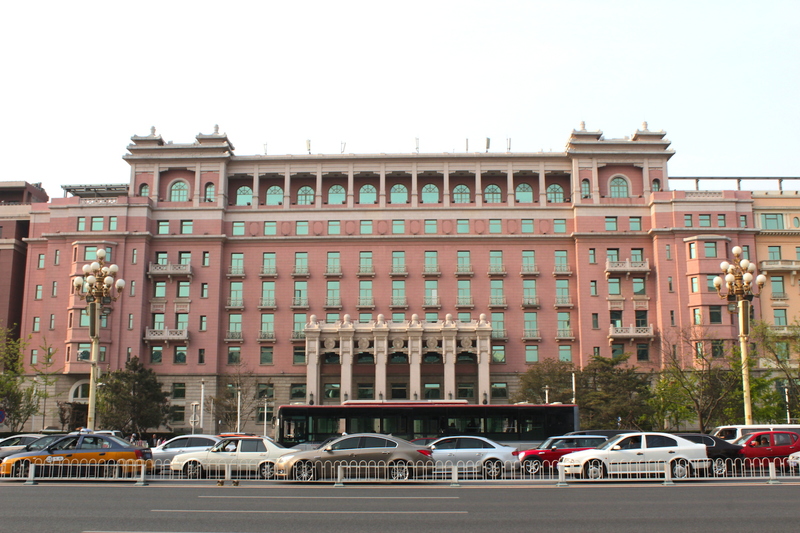 Gallery | This entry was posted in Art & Architecture, China, Cities & Regions, Culture & Lifestyle, Landmarks & History, Photography, Travel & Mobility and tagged Beijing, China, Grand Hôtel de Pékin, Peking, Raffles Beijing Hotel, The Grand Tour, The Grand Tour of the Far East. Bookmark the permalink. 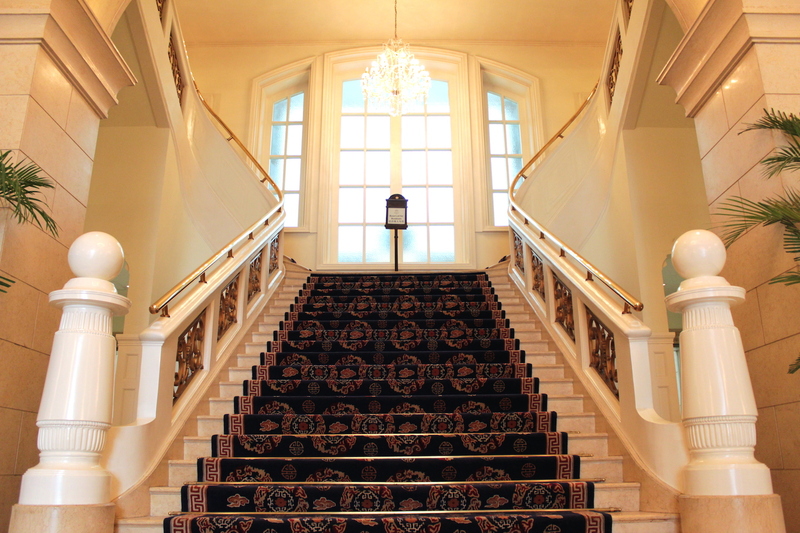 Pretty photos of the hotel. 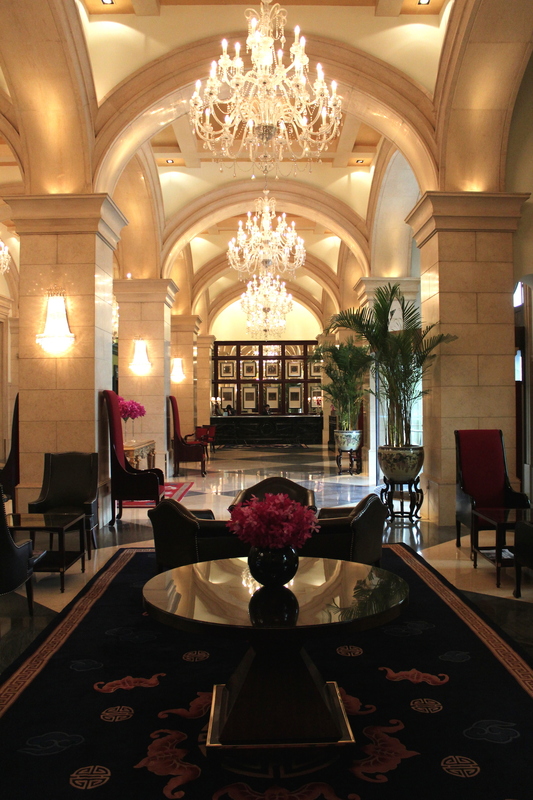 Gorgeous photos and a gorgeous hotel! Perfect example of how history can shape buildings and the cities they are in.